Olympic games for charity, school, and corporate events. Hayley has worked with clients such as Canadian Tire, Farm Credit Corporation, Merck, Enbridge, Encana, Clean Air Champions, Red Flag, and Hockey Hall of Fame. women in sport, and a dedicated advocate of women’s hockey; Hayley is also an engaging storyteller who enjoys connecting with Canadians. Hayley uses her experiences on the rink to motivate young players, shares how she overcame obstacles with her team to inspire audiences, and uplifts people of all walks of life with her passion and love of the game. Fill out the form for inquiries about fees and dates and we will get back to you promptly. ​What does a successful team need and how did Team Canada succeed on the World Stage? Wickenheiser shares with her audience the importance of always looking for improvements or opportunities for change within your life. It’s Foolish to be Normal! Complacency kills! 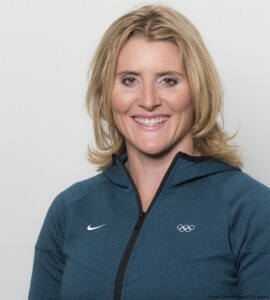 Wickenheiser offers advice on how to keep the desire alive. How to Perform When it Matters Most – Inspiration for the next generation of athletes and sports in Canada to perform even better. Hayley has been public speaking for many years and can easily customize one of her existing messages to fit your event or project theme.